hawaiioceanlaw.com: Ponderings on Judicial Takings, Beaches and .. Woodchucks? Ponderings on Judicial Takings, Beaches and .. Woodchucks? Once in a while we lift up from the trenches of litigation and ponder the metaphysical questions of law, like how much would could a woodchuck chuck, if a woodchuck could chuck wood? Robert Thomas, Tred Eyerly and I filed an amicus curiae brief in the case of Stop the Beach Renourishment v. Florida Dep't of Environmental Protection. We were recently asked to submit an essay to the Vermont Law Review analyzing the property rights impacts of the decision. Justice Breyer must either (a) grapple with the artificial question of what would constitute a judicial taking if there were such a thing as a judicial taking (reminiscent of the perplexing question how much wood would a woodchuck chuck if a woodchuck could chuck wood? ), or (b) answer in the negative what he considers to be the “unnecessary” constitutional question whether there is such a thing as a judicial taking. 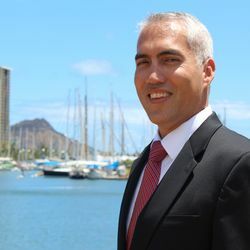 Mark M. Murakami is an attorney in private practice in Honolulu, Hawaii. Hawaii Legislature Ponders Rail Impact Fund...um, excuse me but why not just change HRS Ch. 101? This blog is for informational purposes only. By reading it, you and I do not form an attorney-client relationship. If you want legal advice, retain an attorney licensed in your jurisdiction. This blog is not sponsored by my firm, nor is it approved by my firm, or our clients. The opinions expressed here are my own.